Giving all your simple dishes an Italian makeover. The caprese-style got its true start as a simple Italian salad with layers of buffalo mozzarella, tomatoes and basil leaves and drizzle of olive oil and salt to taste. It’s not only delicious, but also an aesthetically pleasing dish with its festive colors of green, white and red resembling the Italian flag. It turns out that the trio of flavors are versatile and go nicely with many other kinds of dishes including sandwiches, pizzas and even muffins. 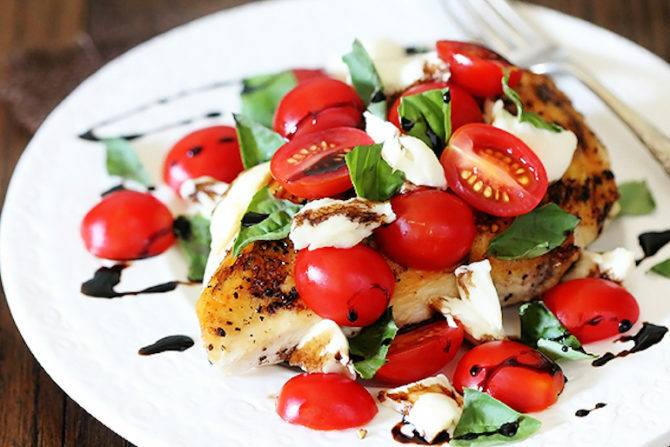 If you’re tired of some of your old recipes, try something new by making them caprese-style. You won’t regret it. 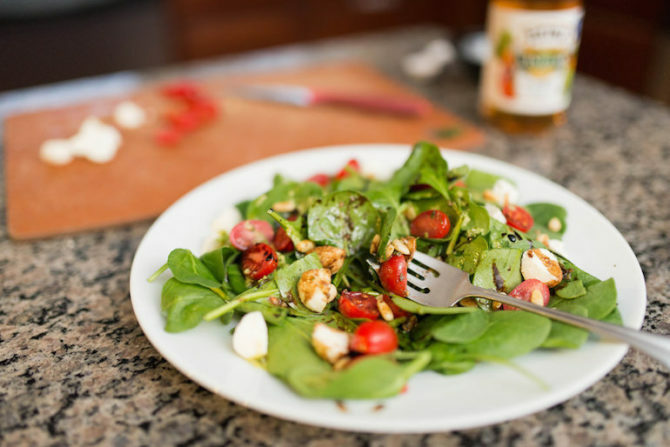 While the original caprese salad involves layers of mozzarella, basil, and tomato, this recipe diverges from the traditional form by replacing basil with spinach and adding pine nuts to the mix. A great way to make a boring grilled cheese a little more interesting, this caprese grilled cheese is nothing short of gooey deliciousness. The crispy bread with the creamy mozzarella, fresh tomato, and basil pesto has all the flavors of a caprese with an added crunch. 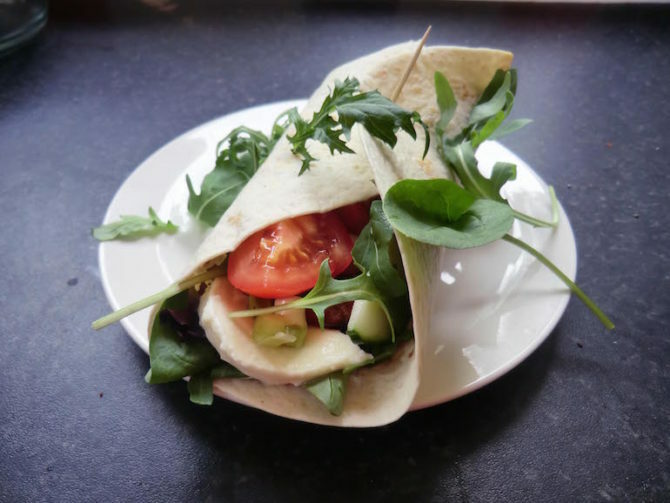 Italy meets Mexico in this caprese-inspired wrap. The regular trio of ingredients in a caprese is spiced up with some Mexican ingredients like tortilla and chorizo bringing the two cultures together in a perfect bite. 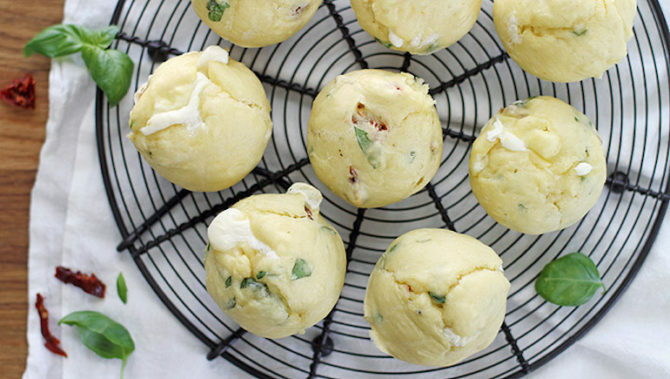 Savory muffins are just as good as sweet ones and these caprese ones are great for a quick bite or snack. They’re best when eaten fresh and warm out of the oven before the tomatoes make them soggy. 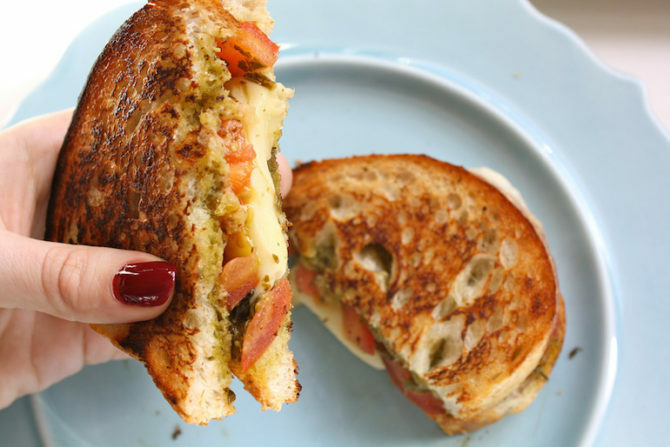 What could be possibly better than a caprese grilled cheese? 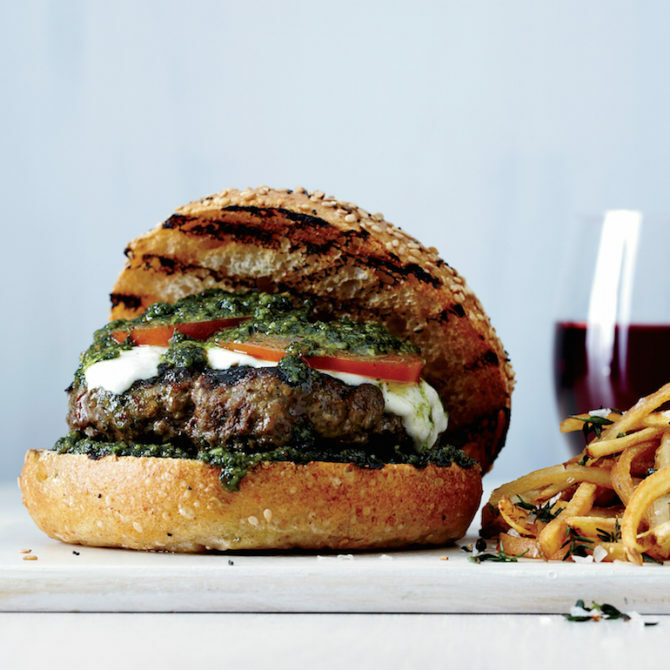 A caprese burger might be the answer. There’s nothing quite like a charred, juicy burger topped with a fresh basil pesto sauce, melted mozzarella and fresh or roasted tomatoes all tucked in between grilled bread. A perfect recipe for a colorful appetizer, these crostini are the key to your next summer dinner party. Instead of plain mozzarella, this recipe uses burrata which is basically a creamier and softer version of mozzarella. The combination of cheese, tomato and basil basically screams to be made into a pizza. 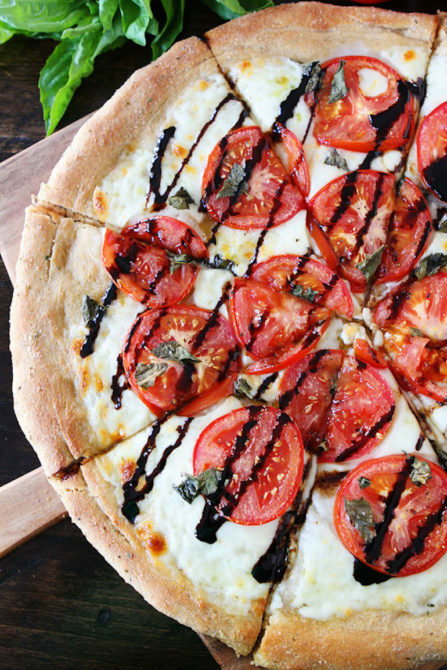 With the mozzarella base, tomato and basil toppings, and a drizzle of balsamic vinegar, nothing could possibly go wrong with this pizza. Out of all the foods you thought you could turn caprese, beets may have been far from your mind. 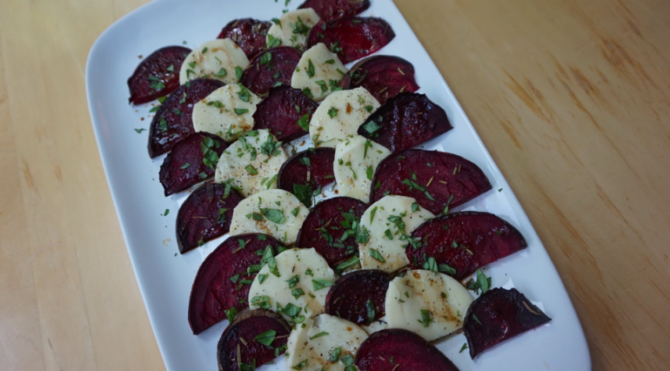 Nevertheless, roasted beets make for creative substitution for tomatoes. It’s a great recipe to incorporate a vegetable that really should get more attention. 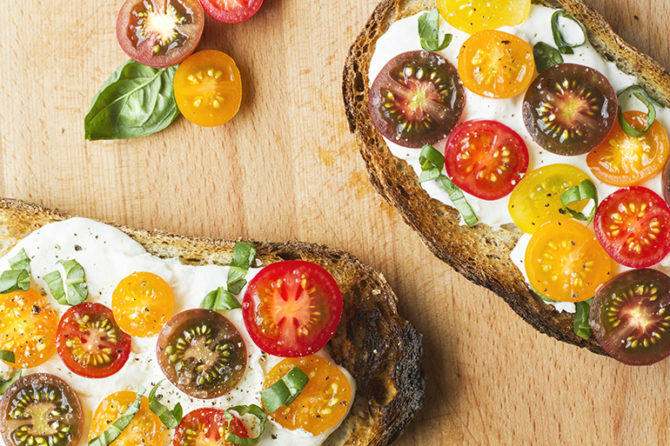 Want caprese in your breakfast? Here’s your solution. 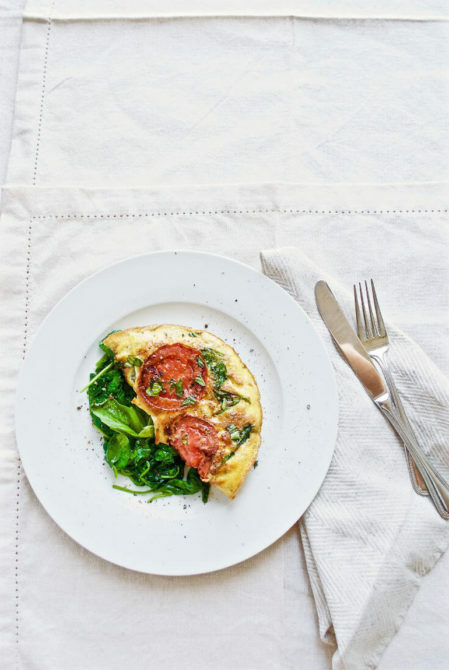 Instead of putting the regular ham and cheese in your morning omelettes, try putting slices of tomato, mozzarella and basil instead. You won’t want to go back to ham and cheese again. 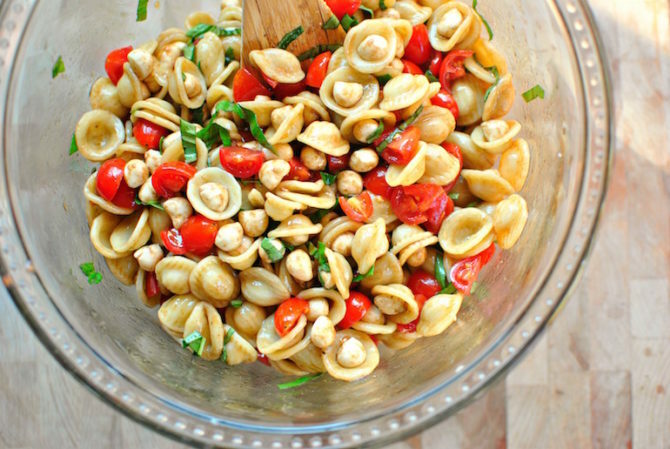 There’s dozens of ways to turn all kinds of pasta dishes into a caprese-style dish. It can be caprese pasta with penne tossed with chunks of mozzarella, tomato basil or a baked rigatoni with marinara and melted mozzarella. The possibilities are endless. Meat and veggies aren’t the only foods that look and taste good on a skewer. 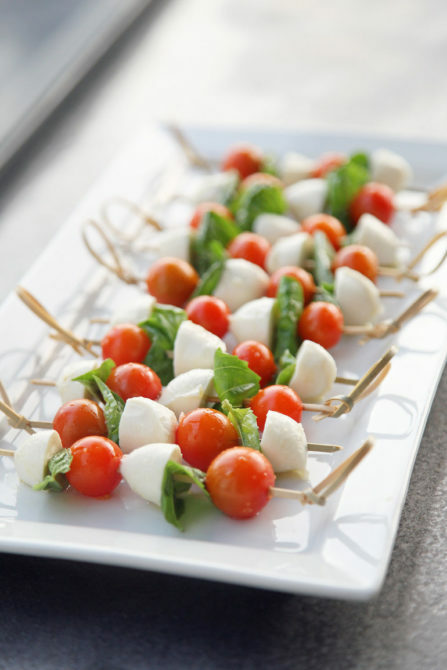 Fresh caprese skewers can make for a festive appetizer or fun replacement for a salad or an quick appetizer for a summer picnic. 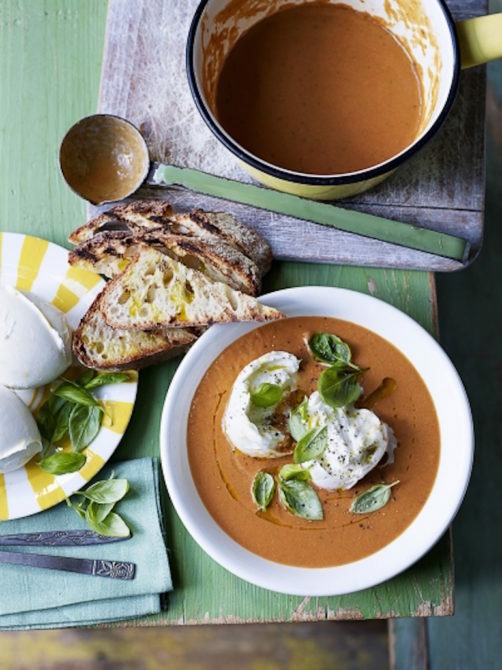 Add a ball of fresh mozzarella and sprinkle of basil to your regular tomato soup and you got yourself a caprese soup that will knock your socks off. It’s amazing what adding cheese can really do. Top a grilled chicken breast with bits of mozzarella, basil and tomato or stuff it with cheese, basil leaves and tomato mix then fry it to crispy, brown perfection. Whichever way you choose, you’ll never think about chicken breast being bland ever again. 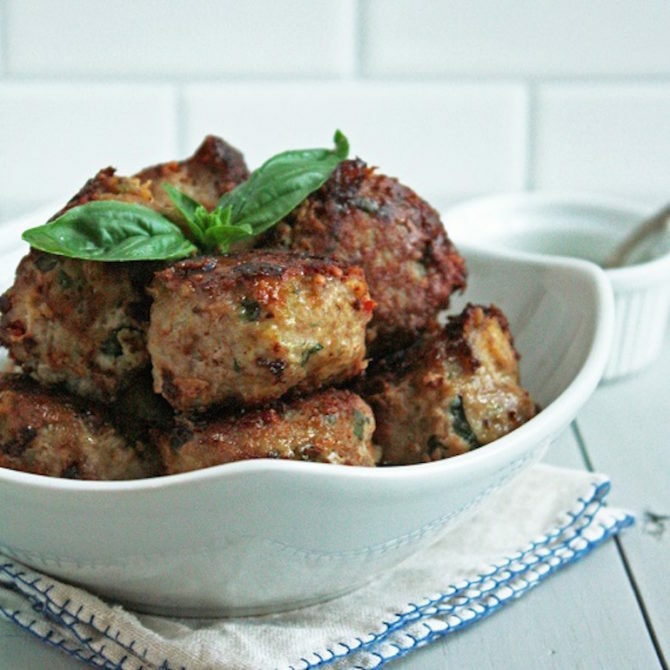 Change up your meatball recipe by using shredded mozzarella, fresh basil and sun-dried tomatoes in the mix. You can even add these meatballs to a caprese pasta if you really want to go crazy with the caprese.